Asian markets were higher in Tuesday afternoon trade, as U.S.-Japan trade talks kicked off and the Bank of Japan chief flagged risks of increasing trade protectionism to the global economic growth outlook. The Nikkei 225 in Japan rose 0.25 percent in afternoon trade, with shares of index heavyweights Fast Retailing and Softbank Group advancing about 1 percent each. The Topix index, however, slipped 0.1 percent. Shares of Japanese telcos Softbank Corp and NTT Docomo both jumped more than 3 percent each after the latter announced price cuts that were smaller than expected. 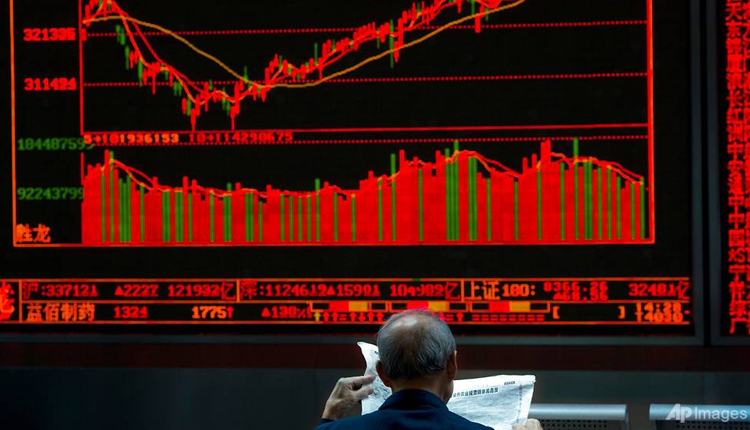 Shares in mainland China recovered from their earlier slump to rise by the afternoon, with the Shanghai composite gaining 1.11 percent and the Shenzhen component adding about 0.55 percent. The Shenzhen composite also advanced 0.310 percent. In Hong Kong, the Hang Seng index added 0.63 percent. Over in South Korea, the Kospi was fractionally higher, as shares of Asiana Airlines surged beyond 16 percent. The top shareholder of Asiana Airlines, Kumho Industrial, said on Monday it would sell its entire stake in the debt-ridden carrier to keep it afloat, Reuters reported. That followed weeks of financial uncertainty after the carrier failed to win auditors’ sign-off on its 2018 financial statements, which triggered warnings of credit ratings downgrades, according to the Reuters report. For its part, Kumho Industrial saw its stock jump beyond 9 percent. In Australia, the ASX 200 was 0.33 percent higher, as most sectors advanced. Japanese Economy Minister Toshimitsu Motegi told reporters that he had a “frank and good exchange ” with U.S. Trade Representative Robert Lighthizer, with the two set to meet again on Tuesday, Reuters reported. The U.S. dollar index, which tracks the greenback against a basket of its peers, was at 96.942 after seeing lows around 96.8 yesterday. The Japanese yen traded at 111.94 against the dollar after seeing highs below 111.2 last week. Oil prices declined in the afternoon of Asian trading hours, as international benchmark Brent crude futures fell 0.27 percent to $70.99 per barrel and U.S. crude futures shed 0.14 percent to $63.31 per barrel.